The TV, live streaming and radio listings are legal broadcasts of Porto - Chaves in United States. Authentication or subscription with a TV, ISP or streaming provider may be required. Please note that not all channels are available to watch online. If available online, we will link to the official stream provider above before kick-off. The Egyptian ace walked away unscathed after a nasty hit to Danilo's shin in the dying moments of the game. Porto will aim to avenge last season's 5:0 humiliation in last season's Champions League Round of 16 first leg when it travels to Anfield on Tuesday. 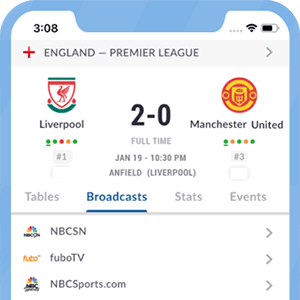 Live Soccer TV is on hand to provide information about the form of the teams, head-to-head record, as well as broadcast information to watch the epic encounter live.